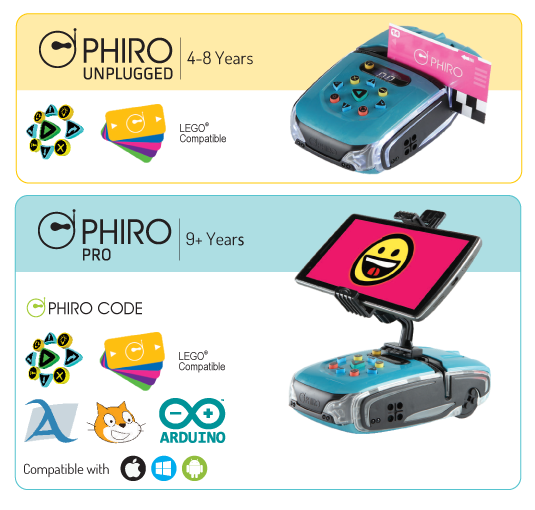 Phiro is a fun coding and robotics platform for children ages 4 to 18. 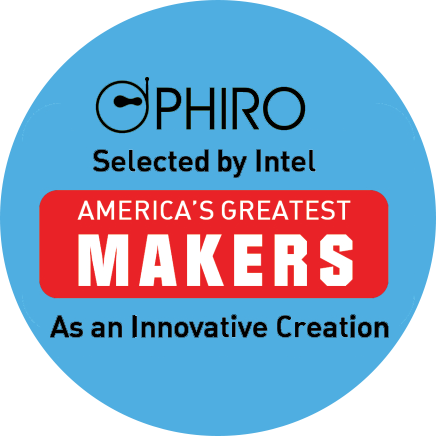 Phiro helps teach computer science, technology and engineering through easy hands-on projects. 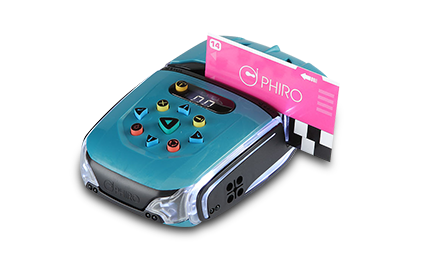 With built in progression and versatility, Phiro reaches all ages and skill levels. 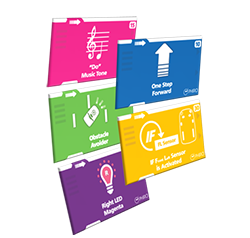 Children can learn to code, Phiro Unplugged with tangible Sequential Keys and colorful Coding Swish Cards.  Children can code Phiro Pro, wirelessly using Scratch 2.0, Snap! or Phiro Code mobile app programming languages. 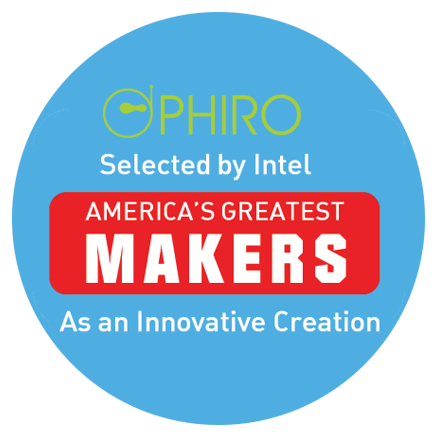 Phiro is Lego® and Arduino compatible. We believe that design thinking is an essential part of digital transformation. The phiro curriculum created by us uses design thinking to deliver a creative learning process. 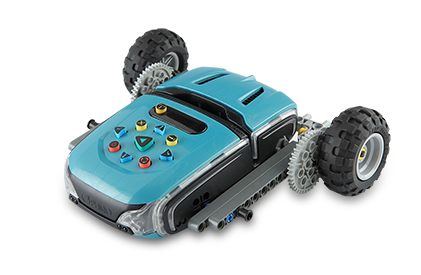 Lesson plans and educator guides developed by ROBOTIX are multidisciplinary and free. With endless imagination and creativity kids play with Phiro and together they go on adventures, create stories, games, explore new worlds, all while having fun. 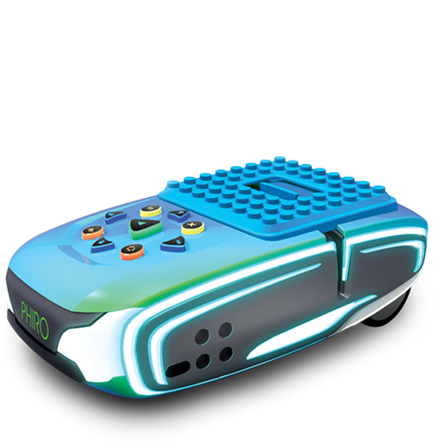 As kids play with Phiro, they learn to code and watch Phiro enact their programming. As kids learn to code, they foster computational thinking and problem solving skills, crucial for every field in the 21st century. 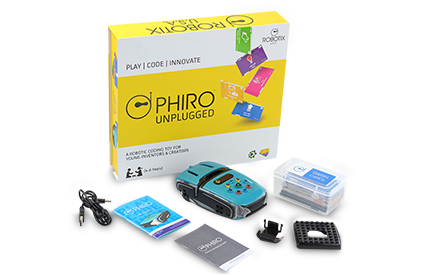 Coding and playing with Phiro empowers and inspires kids to be creators and innovators of the world. 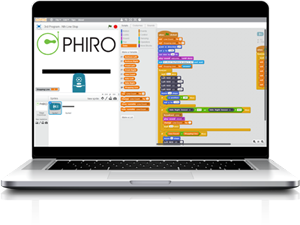 Kids can learn programing with Phiro’s easy sequential keys to navigate a room, maneuver a maze and watch Phiro act out your code. Coding is like a fun game! 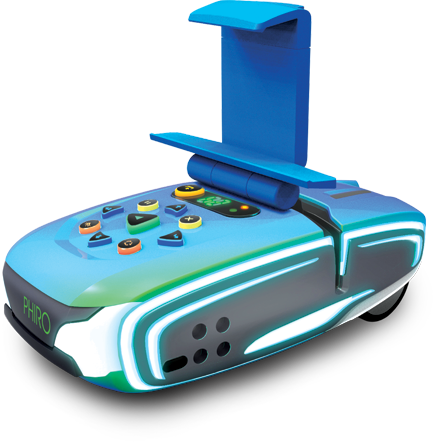 Use swish cards of different colors to make Phiro solve fun challenges, sing a song or flash lights. Create your own commands for Phiro by simply coloring binary code on cards. 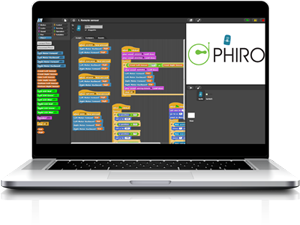 Snap blocks of code together and send Phiro on missions. Snap! 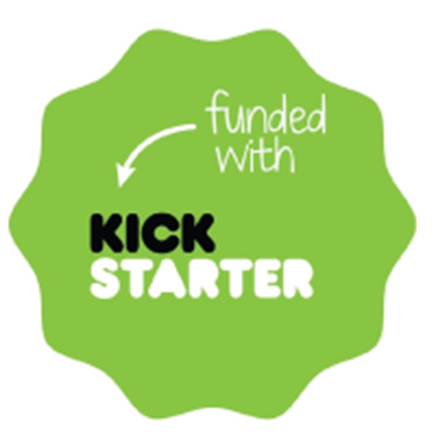 is a free open source visual programming language created by UC Berkeley, USA and adapted to Arduino by Citilab Spain. 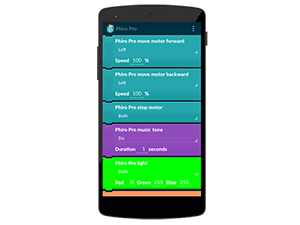 Build your own apps to control Phiro to record a movie or take pictures. 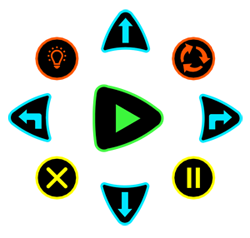 A free open source visual programming mobile application created by Graz University of Technology, Austria. 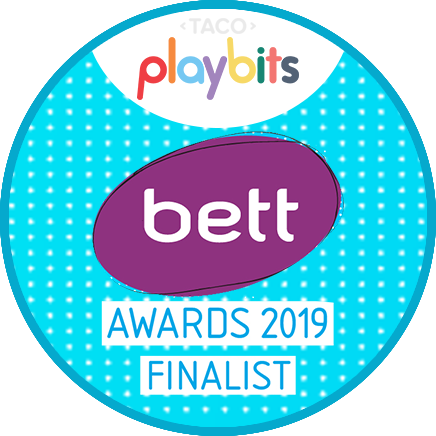 “By engaging in robotics, children play to learn as they learn to play in creative contexts." “Children as young as 4 years old can learn to program robots while learning concepts in coding and engineering and building their computational thinking and problem solving skills." 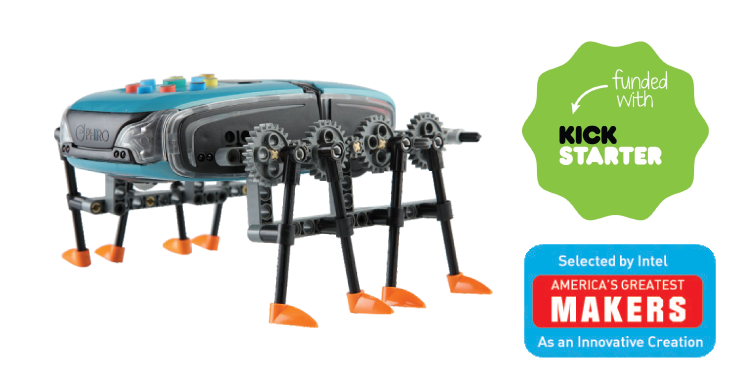 “Programming robots in the context of problem solving provides a visual and physical way to see the outcome of problem solving." 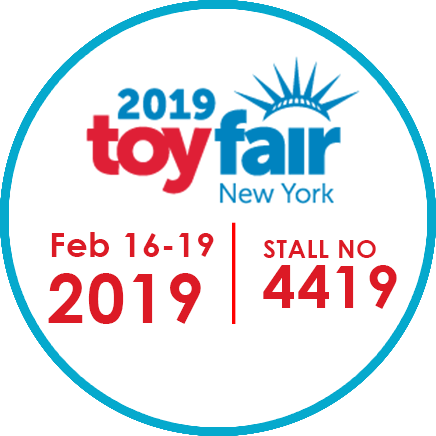 Disclaimer : LEGO ® is the trademark of the LEGO Group of companies and does not sponsor, authorize or endorse this site.